Actor Leonardo Dicaprio has used his renowned celebrity platform to bring awareness and public attention to the most pressing environmental issues. 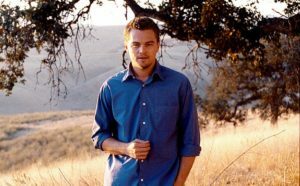 In 1998, he founded the Leonardo Dicaprio Foundation to combat climate change, protect vulnerable species, and propose innovative solutions. He has donated at least $30m to the cause, hoping to advance the agenda of the United Nations climate negotiations among other endeavours. His foundation also supports worldwide partners that aim to protect endangered wildlife from extinction. During his speech at the 2016 Oscars, Leo took the opportunity to speak to 34.4 million viewers about the urgency of acknowledging climate change. His environmental activism extends beyond his own foundation. The Revenant star is a board member of various other environmental organizations: The World Wildlife Fund, Global Green USA, The Natural Resources Defense Council and The International Fund for Animal Welfare. The Brazilian supermodel, Gisele Bundchen, is a UN Environment Goodwill Ambassador who is committed to conserving the Amazon Rainforest. She’s continually set out to do so by bringing awareness to water pollution and deforestation in her hometown of Horizontina, Brazil. In 2002, Gisele launched a flip-flop line, Ipanema, that promotes water conservation in attempts to preserve an endangered Amazonian river, known as the Xingu. After spending time with local Indian tribes and witnessing the challenges they were enduring due to water pollution, Gisele and her father founded Projeto Água Limpia (Clean Water Project). As a result of her experience, she also ensures her Ipanema brand collaborates with other Amazonia water projects by raising funds to sponsor their efforts. Actor Matt Damon founded H2O Africa which aims to find solutions to the water crisis and sanitation problems affecting the African population. H2O Africa was part of Damon’s documentary film, the Running the Sahara Expedition. H2O Africa later collaborated with WaterPartners to create what came to be known as water.org. 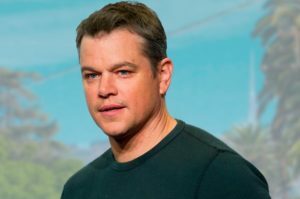 In his ventures as an activist, Matt Damon visited sites throughout developing countries, met with institutions to develop solutions, and implemented multiple water projects. The documentary film is narrated by both Academy award winners, Matt Damon and James Moll. The film crew captures a group of runners as they embark on a long, treacherous journey across the desert. Along the way, they interact with people of the Sahara who describe the environmental challenges they are facing daily. Actress Emma Watson has proudly fulfilled her role as a UN Women Goodwill Ambassador since 2014. Among her list of humanitarian accomplishments and goals is the promotion of sustainable and ethical clothing. During the 2016 Met Gala, she wore a Calvin Klein gown entirely made from recycled water bottles. She also collaborated with Fair-Trade fashion label during her Beauty and the Beast press tour to promote a unique yet eco-friendly wardrobe. Emma has expressed her fondness of sustainable brands through social media, creating the account @the_press_tour to encourage women to pay attention to the details of their clothes and look for ethical alternatives for day-to-day clothes. 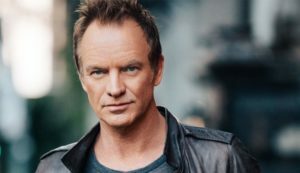 The Police lead singer and bassist is an environmentalist and human rights activist. He founded the Rainforest Foundation in South America and held a benefit concert to raise funds for his mission. According to theguardian.com, “Since its inception, the foundation has helped protect more than 100,000 sq km of rainforest for local tribes.” He was so gracious in his donations and preservation efforts that a colombian tree frog, Dendropsophus stingi, was named after him.